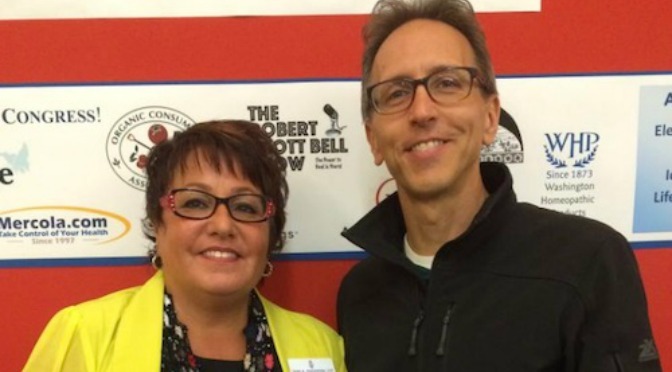 Tami Goldstein was a featured guest on the Robert Scott Bell Show on Oct. 20, 2015, as the show broadcast live from the 2015 United States Health Freedom Congress St. Paul, Minnesota. During the interview Tami discussed the institutional educational discrimination against vaccine-injured children occurring through the nation. Robert Scott Bell hosts the fastest two hours of healing information on radio, dealing with everyday health issues from the perspective of alternative/holistic health care. Robert Scott Bell tackles the tough issues and shows no fear when confronting government and corporate bullies who would stand in the way of health freedom. You will be amazed by the amount of information about healing that is kept secret from you and what you can do to learn more about it!